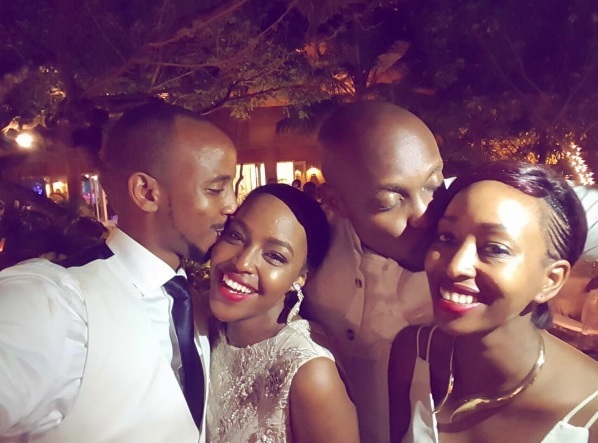 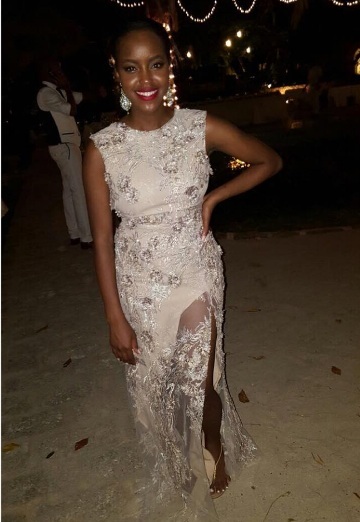 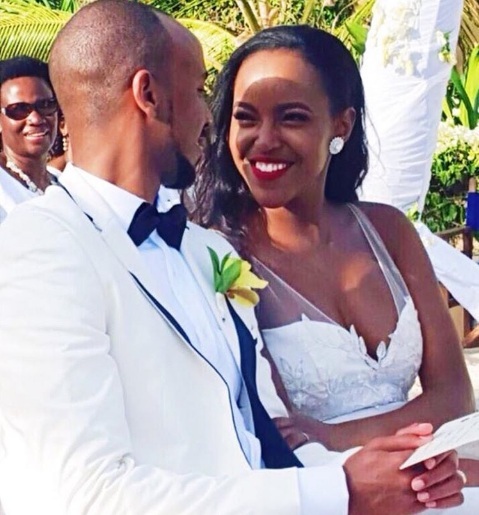 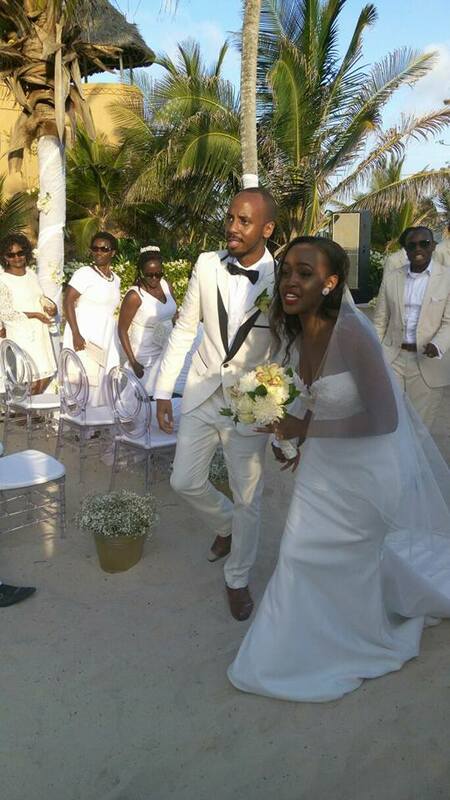 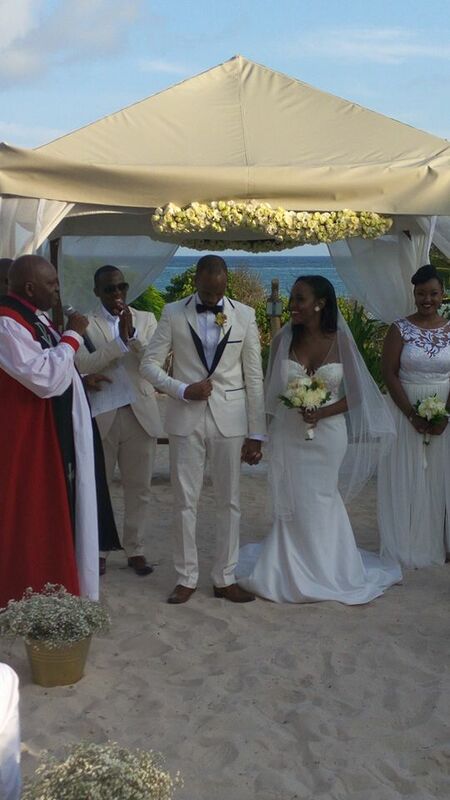 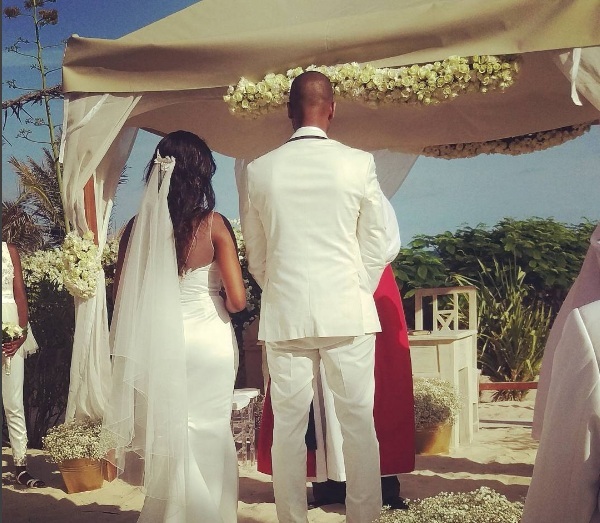 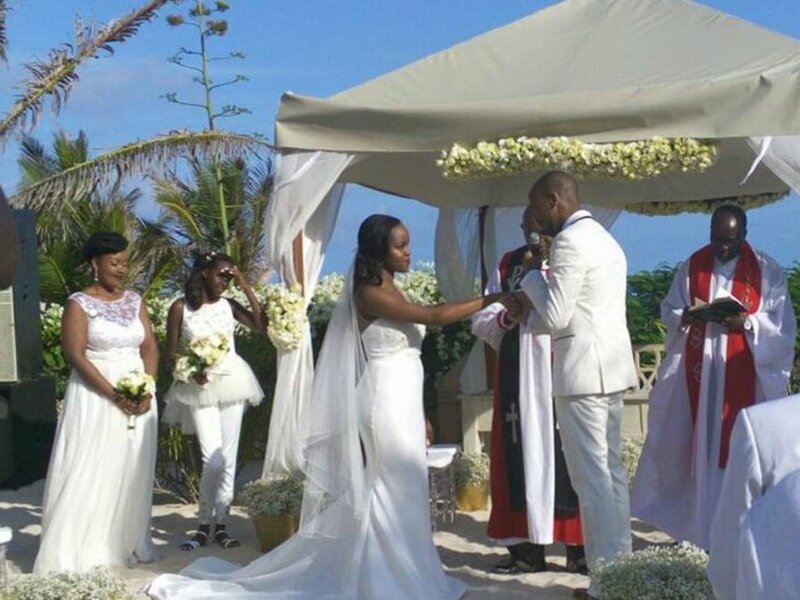 Kenya's most famous fashion blogger Sharon Mundia is now officially Mrs Leteipan. 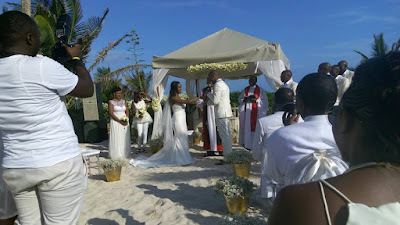 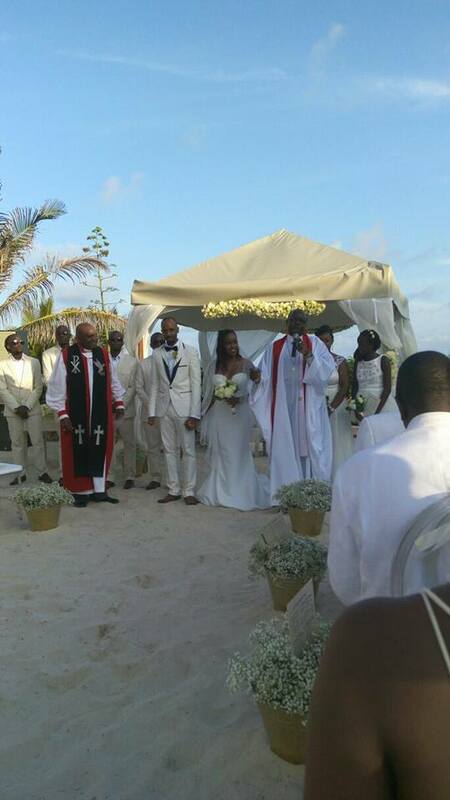 The blogger said "I do" to her fiance, Lonina on Friday, November 11 at 3pm in Watamu. 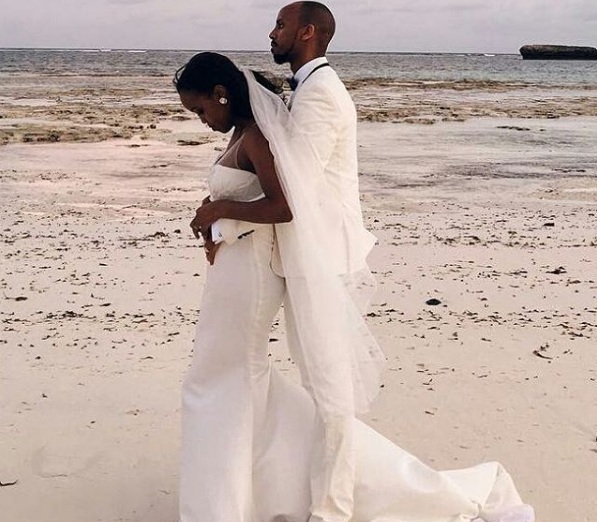 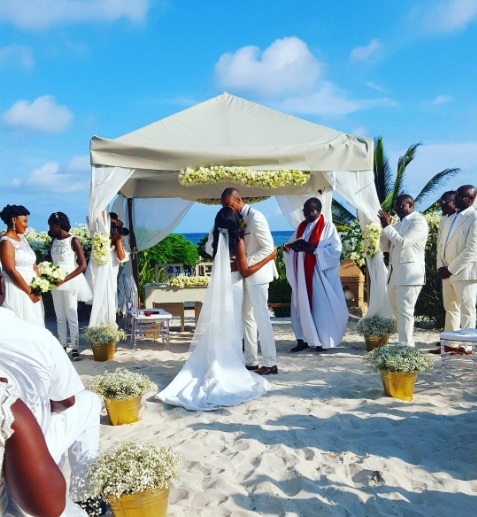 The all-white wedding ceremony was held at the Medina Palms Hotel with a picturesque background of pristine white beaches and the endless sky blue ocean. 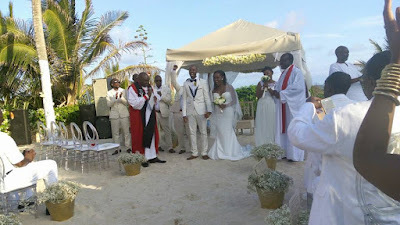 The wedding, which was an invite only ceremony saw celebrities attending among them Citizen TV's Janet Mbugua, and other TV personalities including Edith Kimani, Susan Wong, Patricia Kihoro, Joy Kendi and Miss Mandi among others. 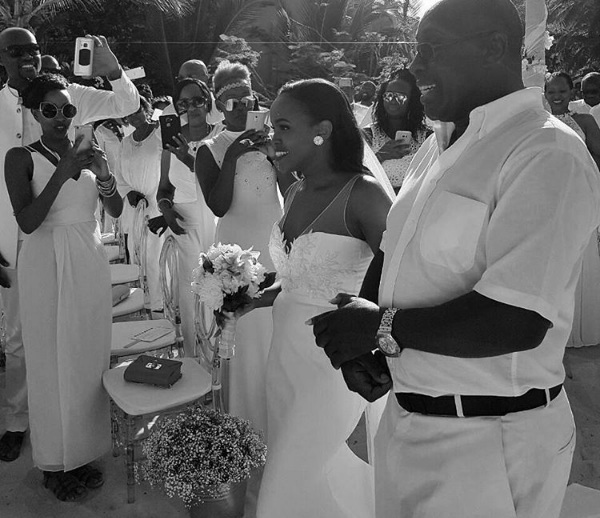 Sharon's bridesmaids were all dressed in all white outfits, clearly the bride was not afraid of getting outshined. 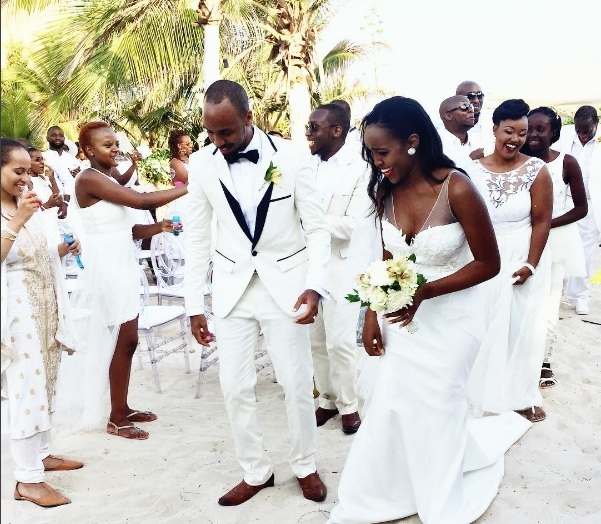 Traditionally, no one wears white in weddings apart from the bride.